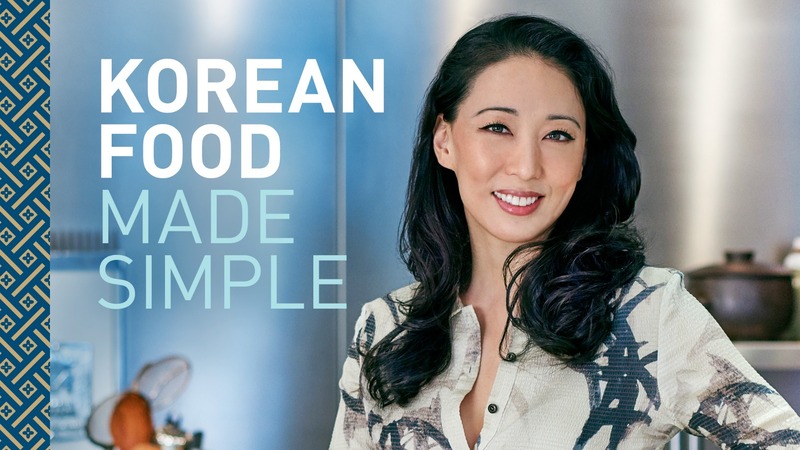 Chef Judy Joo is not only the host of the Cooking Channel series Korean Food Made Simple; she also owns the wildly popular restaurant Jinjuu, with locations in London and Hong Kong. And on top of all that, she’s just published a new cookbook, also titled Korean Food Made Simple. So what does this jet-setting chef cook when she’s on the fly? We asked Joo what her go-to meal is when it’s just her. Instant ramen noodles! I will add a lot of extras, though, like fresh shrimp, load it up with a lot of veggies, such as spinach, scallions, cabbage, egg, tofu, etc…. I also love smoked salmon and will eat it on crackers for a light dinner with some hummus! What about when she’s with her family in New Jersey or entertaining friends at the last minute? Pasta is always so easy for large groups — and simple to do well (which is key) — and a great way to disguise leftovers that might be hiding in the fridge. Large salads are also really easy and healthy as well. Just recruit some people to help you chop! 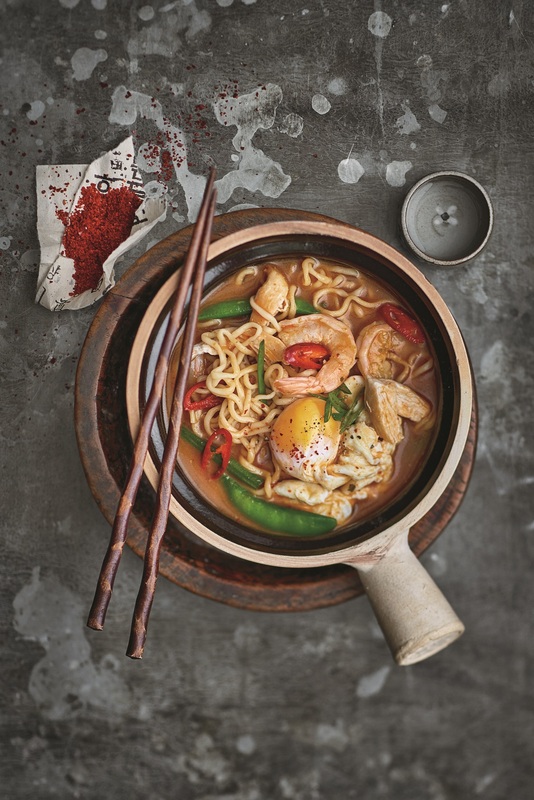 Another favorite of Joo’s is her late-night “naughty noodles” from her new cookbook. Sometimes nothing hits the spot better than instant ramyun (Korean for ramen) and a cold beer. Switching out the seasoning packet for some flavored stock, though, makes it much tastier and more healthful. I also like to build it into a proper meal by pimping it out with some frozen shrimp or dumplings (although you can certainly use fresh too), veggies, meat — whatever I have on hand. Feel free to adjust the spice level to your taste. In a medium saucepan, combine the stock, chili paste, soybean paste, chili flakes and chile, and bring to a boil over high heat, whisking occasionally to dissolve the soybean paste. Open the package of noodles and, keeping the noodles in the bag, break them in half crosswise. Put both halves into the boiling stock mixture. (I love to eat any remaining bits of noodles by shaking them from the bag into my mouth.) Add the shrimp and sugar snap peas (if using; if you’re using spinach, wait until the next step). Bring the broth back to a boil, and add the chicken and scallion. When the noodles are almost done, about 5 minutes total, add the spinach (if using), and stir to wilt. Crack the egg into the saucepan, and let it poach, or give it a gentle stir to break it up and form egg ribbons. Eat your noodles straight from the pot, or if you’re feeling fancy, transfer them to a bowl, and garnish with the sliced scallions, more chili flakes and pepper.